The design and style of your website is your first chance to impress your customers. Luckily, WordPress make it super easy to create a style that works for you. By downloading a ‘theme’, you can hand-pick the look of your site, without touching a line of code. Before I jump into my ten favourite WordPress themes, here’s what you need to look for in your online store design. Responsive DesignHalf of all internet users are now accessing the web on a mobile device, and shoppers love to use their tablets! A responsive theme means your website will adapt to a smartphone, a tablet, or a desktop instantaneously. Style, Simplicity, and Easy NavigationYour theme should suit your branding style and your products. But, make sure it’s simple and easy to navigate. Think about whether your theme creates a pleasant user experience. Now you know what to look for, here are ten of my favourites that combine all three essential qualities. 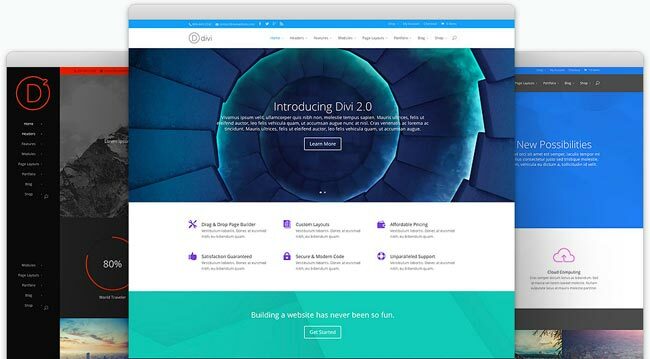 Divi is different to most WordPress themes. It doesn’t just come with one style or layout. With this theme, you can create just about any design you want. I’ve seen some users say it’s like using lego! Which is a brilliant apt description of the theme. You simply build your preferred layout using blocks and grids. It integrates seamlessly with WooCommerce and you can create a stunning store front in minutes. > Get The Divi Theme Now. Shopsy is fun and playful, making it the perfect place for parents looking to start a children’s store or perhaps a range of quirky hand-made products. It mimics the Pinterest style grid layout, so you can show off lots of items all at once. Best of all, the creators have made it compatible with animations, so your website will come alive! > Get The Shopsy Theme Now. I generally advise people to invest a little money in their WordPress theme. 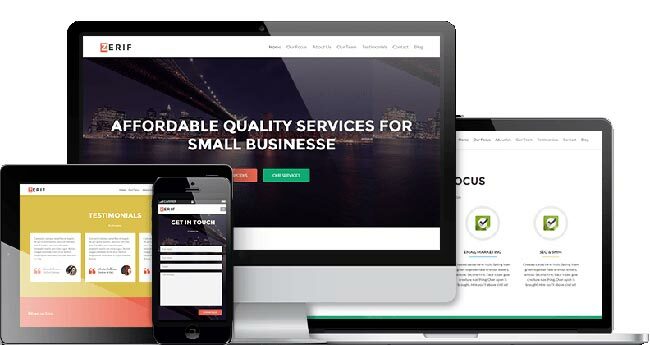 Premium themes rarely cost more than $50 and it makes a big difference to the professionalism of your site. But, with Serif Lite I found a free theme that I’m happy to recommend. It’s a one-page design, which makes it perfect for simple store fronts. It’s easy to use and looks beautiful. If you’re new to WordPress, this is a great place to start. If you like the free version, you can upgrade the theme and unlock some extra power. > Get The Zerif Lite Theme Here. 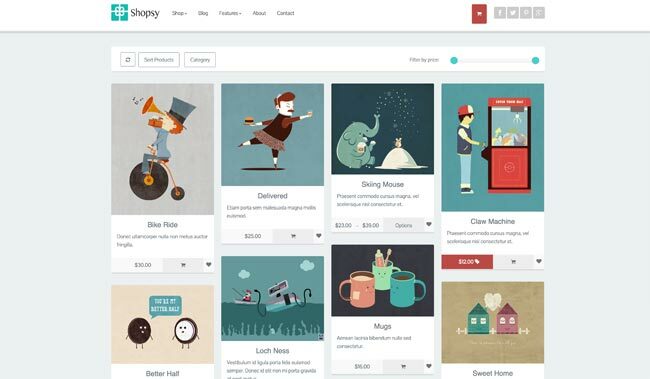 With a name like ‘Shopkeeper’, you know this theme is designed for just one purpose: helping you sell products. Shopkeeper is so simple to use, you don’t need to know any code whatsoever. You probably wouldn’t want to change too much anyway, as the pre-built layout looks very professional. This theme is all about catching attention with big images. It’s one of my favourite themes out there for budding fashion stores. > Get The Shopkeeper Theme Now. One of the biggest trends in web design at the moment is the use of huge headers with irresistible photography. 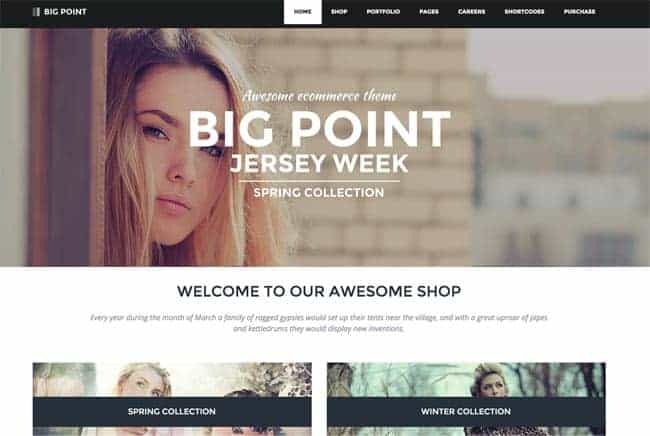 The Big Point theme lets you create a site that is bang on trend. It also comes with a revolution slider which means your beautiful header images will interchange automatically. That will impress your customers! This is another drag-and-drop theme, so you don’t need any technical know-how to make it look great. It works perfectly with WooCommerce and it looks particularly smart on a tablet. > Get The Big Point Theme Now. 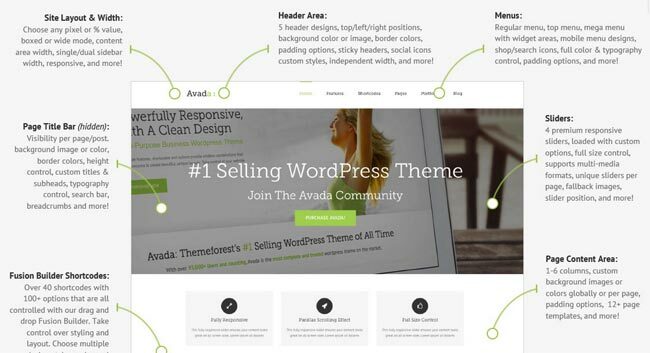 Avada is fairly similar to the Divi theme. It used the same ‘lego’ style custom builder that allows you to create a website with just about any style you can think of. It’s probably the most versatile and flexible theme out there. So, if you’re looking to experiment and find the perfect layout, try Avada. It’s been called “The swiss army knife of WordPress themes” because you can do anything you want with it. > Get The Avada Theme Now. Vigo is perhaps the most stylish theme here. It features a clean, white design with tons of space. It allows your products to take center stage, and sell themselves. 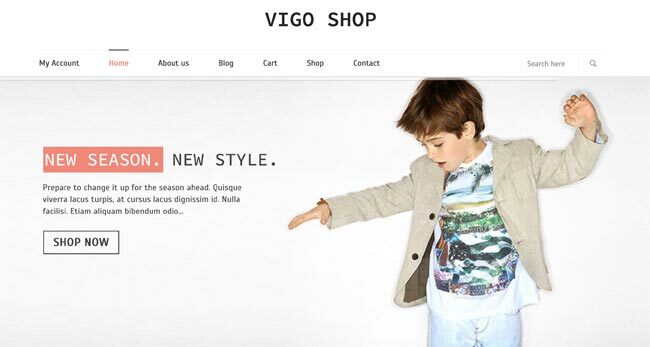 Vigo looks like a professional fashion site; all you have to do is add the products. But, it isn’t just a pretty face. It provides customers with simple, easy navigation. Plus, it’s a couple of years old which means its creators have ironed out all the problems and cleaned up the code. That makes it one of the fastest loading themes on the market. > Get The Vigo Theme Now. If you’re running an online shop, your images should do all the hard work for you. Great photography sells products. So, you need a theme that shows your pictures at their best. Shopster is retina enabled, so anyone viewing on a retina display will see your products in all their glory. They also give you a huge sliding header space to work with. If you want to catch your customer’s attention with seriously high-definition images, this is the theme for you. 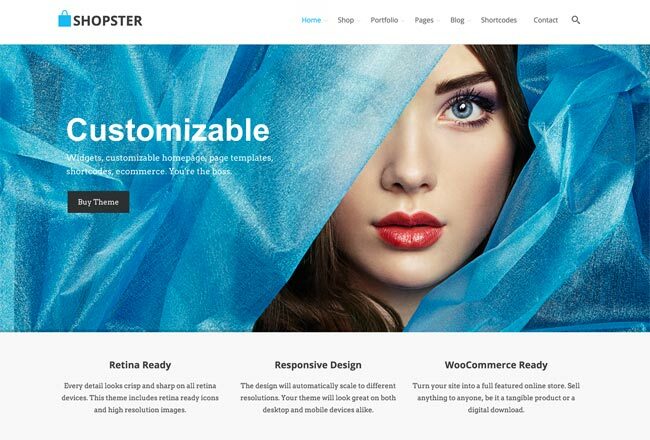 As with all the themes here, Shopster is all set up to work with WooCommerce and integrates seamlessly. There’s no hard work involved at all! > Get The Shopster Theme Now. Parallax scrolling is one of the coolest things in web design at the moment. You may have seen a few sites using it already. When you scroll down a parallax site, the content moves at different rates, seemingly interacting with each other. You might think you’d need a computer genius to create this effect for you. But with this theme, it all comes as standard. It’s quite a masculine theme, great for a guy’s fashion store. This is another drag-and-drop website, so creating the layout is very simple too. > Get The Mr Tailor Theme Now. 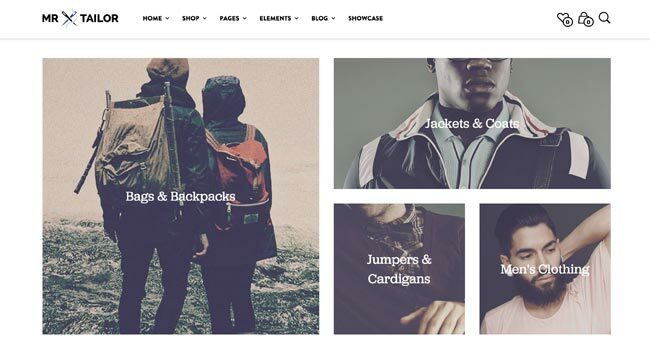 This theme is designed specifically around the WooCommerce toolkit. That means you can be certain that it’s made with online shop owners in mind. 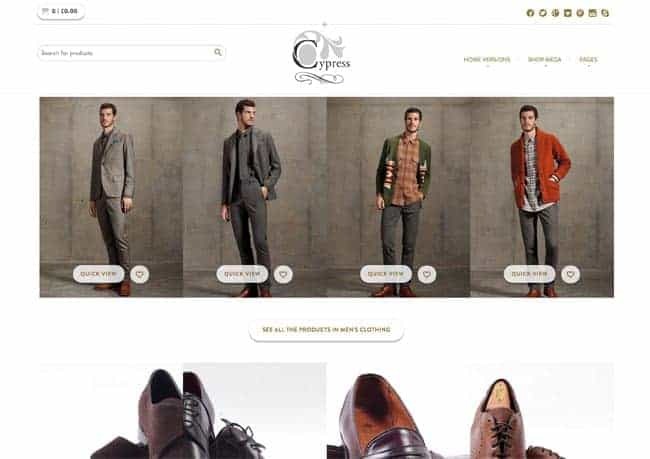 They’ve optimized the whole theme for ecommerce, tailoring every aspect to increase sales on your website. One of my favourite things about this theme is the video backgrounds option. It makes it look like your homepage has a moving image. Perfect for showing off your products in style! > Get The Cypress Theme Now. I’d love to hear from all you WordPress shop owners out there. What themes are you using, and which is your favourite? Now, check out the 9 best Managed WordPress Hosting. These services definitely will bring your WordPress’s performance to a new high.